A homeless man in the By the Wall series (image by Garry Knight via Flickr). Our current policies around homelessness are inadequate. Now is the time to consider more radical alternatives, writes Chris Mordd Richards. PUBLIC HOUSING as a percentage of all dwellings continues to drop year after year around the country, as homelessness continues to rise unabated. Politicians around the country continue to try to apply band-aid solutions to what is a serious crisis, requiring substantial investments in public housing stock. The 2016 census results showed a minimum of 116,000 people were homeless at that point. A June 2018 report, by the Australian Institute of Health and Welfare, showed that ‘almost 190,000 Australians are on the social housing waiting list as the number of homes available fails to keep up with growth’. As The Big Issue Editor Amy Hetherington wrote in April this year, ‘it can be easy to get lost in numbers. But every single one of those numbers is a person who doesn’t have a safe place to sleep tonight'. In Brisbane, Greens Councillor Jonathan Sri called last weekend for "for a civil disobedience campaign to break into disused public buildings and establish crisis accommodation" to house the growing number of homeless, so desperate is the situation there. The Queensland Government has been breaking up homeless camps and moving people on across the city of Brisbane, much like the New South Wales Government did the to the homeless camp at Martin Place and others nearby last year in Sydney. In Melbourne, the City Council tried to introduce a ban on sleeping in public spaces, before being forced to back down over fears of legal challenges, after being warned for months the move could infringe on people’s human rights. In Canberra, there is a fast-growing number of homeless accessing the mens only overnight shelter during winter here, with the numbers having increased almost six-fold over the past two years. In an article last year in The Canberra Times, titled ‘Open up empty government offices to the homeless’, Kim Fischer identified, much like Johnathan Sri, that with more than 200,000 square metres of empty government owned floor space, we could house all of Canberra’s homeless by using less than one quarter of the vacant spaces. Victoria has among the lowest amount of social housing in percentage terms of any state or territory. “The national average is around 5.5% [of total housing stock]; we’re at 3.5% [in Victoria],” says Jenny Smith, the Chief Executive of the Council for Homeless Persons. Victorian Labor has promised to build a total of 6,000 new public housing dwellings if re-elected on 24 November. However, as Smith warns, that will at best only “stop us [Victoria] going backwards”. The Victorian Council of Social Service says 30,000 new dwellings are needed in Victoria alone over the next decade to keep up with the demand. State-owned buildings sit empty, sometimes for decades, while governments deploy hostile architecture against rough sleepers. This is an absurd situation and Brisbane City Councillor Jonathan Sri is right to say homeless people should have a right to shelter and a right to occupy Brisbane’s empty public buildings. Just like Brisbane, homelessness in Sydney is on the rise, in the city of Sydney the number of people without a safe place to sleep has jumped 73 % in just five years. The Government response hasn’t been to open more crisis centres, or build more public housing, it’s been to move communities on from established camps in the inner city. We are facing a homeless epidemic across the country as a direct result of the policies of both major parties, the time for bold action is now. 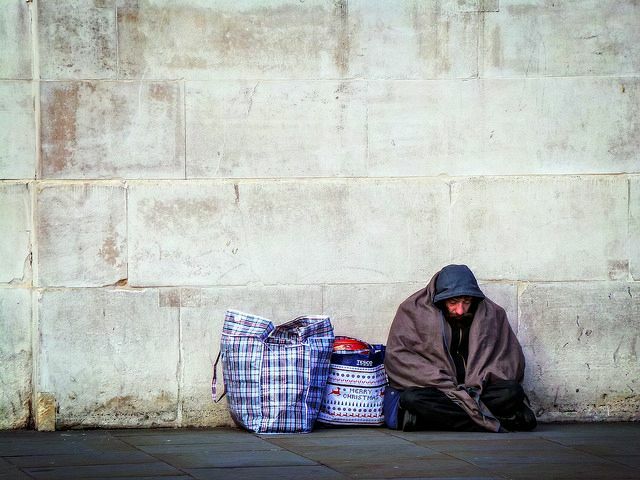 Homelessness is an issue that has been in the news increasingly in the past few years as the situation worsens. The crisis is now at the point where a national homeless monitor has been launched to tackle the “national disgrace” and politicians like Johnathan Sri and David Shoebridge are willing to call for drastic action to address the problem. Governments continue to fail to take the issue seriously enough and barely manage to maintain the broken system we currently have, let alone improve and expand housing services, despite the mounting evidence of the increases in those affected by homelessness. As many are starting to point out, there are a large number of public and commercial properties just sitting vacant across the country. Meanwhile, people continue to sleep rough on the street in growing numbers, not just older men but young women, children, teens, people of all backgrounds, but especially growing numbers of older women as well. How long is our nation prepared to let these people suffer night after night when vacant properties aplenty are available that could be used to provide temporary housing at the very least? How long are we prepared to allow our state and territory governments to under-invest in social housing and leave vulnerable people on the street? When are we going to wake up to the fact that allowing people to remain homeless costs more money than actually providing them with stable long term accommodation? Cities in Canada and the entire country of New Zealand among others have already twigged to this fact. and are getting on with building enough housing for every single homeless person. They will save tens of millions of dollars in the process. The property and criminal laws are clearly unjust in terms of our treatment of homeless people in Australia. I challenge any person to spend one-month living homeless, with little to no money to survive on and not admit to themselves that they might seriously consider breaking into a vacant property to sleep safely in that situation. If anything, homeless people generally show great restraint towards property, tending to camp out in public spaces away from main thoroughfares and not disturbing anyone until the police come along to move them on. One exception to that was the Sydney Martin Place camp, which was designed to put the issue squarely in everyone's faces by placing itself in such a visible location. I am not going to say Johnathan Sri is right in calling to break into vacant spaces to occupy them for homeless to sleep in, but I am certainly not going to say he is wrong either. It is up to each of you to decide what you feel is justified when it comes to the homeless crisis facing our nation. I would be extremely sympathetic though to any kind of national movement to reclaim unused spaces for the homeless, if something like that were to occur, as someone who was homeless as a teen myself. Those homeless people are your brother, your sister, your father or mother, your cousin, your sibling, your aunt or uncle. They are people just like you, who generally through no fault of their own, have found themselves with nowhere to live and no way to survive. If we really are the lucky country, the compassionate country that looks after our own, it is time to start doing something serious about homelessness and social housing solutions, and that is going to require big investments from governments, much bigger than what we are seeing right now. In the process though, there are considerable savings to be made over time, as evidenced by experiences overseas providing housing for all homeless people. This aspect is something that governments needs to wake up to. When we can do the right thing by all homeless citizens and save millions of dollars from state and territory budgets in the process that can be spent on other needed areas, it’s no wonder that some feel that if governments won’t act, the only sensible left thing to do is call for unoccupied spaces to be taken over and used for temporary housing. When the current system for helping homeless people is already so inadequate, you can’t blame people for calling for solutions that to others may seem madness. Spend a month homeless and then tell me if it’s a ridiculous idea or not. Helping homeless people desperate for shelter is not crazy. Ignoring the problem like we continue to do at the moment is.